Mortgage Refinance – Refinancing, Fixed Rate Loans! Lowering monthly payments. You may choose to refinance for reasons that have nothing to do with getting a lower interest rate. For example, you may decide to refinance to lower your payments. Some consolidation lenders will make you a loan with a lower payment but that stretches out your loan-repayment period. The net effect is that your total interest payments usually increase as a result of the longer loan term. Paying off consumer debt. Refinancing may allow you to borrow additional money (a "cash-out" refinancing) to pay off credit cards or other debt or even to use the money for another purpose. A benefit of using your home to refinance is that mortgage interest is generally tax-deductible (unlike the interest on auto or credit card debt). However, keep in mind that home equity debt cannot be discharged as easily as consumer debt if you should ever be forced to file for personal bankruptcy. Combing monthly payments. Refinancing lets you combine two mortgage payments into one payment, hopefully at a lower rate than the average rate of the two payments. If for nothing else at all, combining your payments cuts the time you spend paying bills. Our refinance lenders specialize in refinancing offers from 3-4 competing mortgage refinance loan specialists from across the country. With the new guidelines for home refinancing changing significantly, it is in your best interest to get educated on the requirements before you get too excited about the low rates. Loan companies are asking for more equity and higher and credit scores. This has caused the pool of eligible homeowners to shrink significantly. At Smart Home Financing, our refinance specialists are dedicated to finding you the right loan with "A- Paper" and sub-prime refinancing options to help improve your financial outlook immediately. 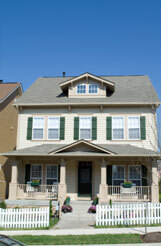 Shop rates for refinancing online and select from conforming, jumbo or government sponsored financing from FHA or VA. Refinancing a second mortgage is also available for people who need to refinance their adjustable rate home equity loan. It's our mission here to find you the best interest rates with favorable terms and lowered costs to meet your unique refinancing needs. Whether you want to reduce your housing expenses, consolidate loans or finance improvements for your property, our loan officer would like to help make the refinance process as smooth as possible for you! Mortgage rates are rising, so lock a fixed rate mortgage as quick! The mortgage loan applications have continued to decline across the country due to a decrease in demand for mortgage refinancing with long-term home interest rates at their highest level since last year, an executive from Washington Mutual said yesterday. The Mortgage Bankers Association's mortgage application index slipped 1.7% to a seasonally attuned 625.3 in the recent week. An increase in applications to purchase new homes was overshadowed by the decrease in mortgage refinancing applications. The Mortgage Bankers Association reported that the adjusted purchase index rose 1.5 % to 433.6, but the home refinancing gauge fell 6.1% to 1,757.1 in the June 1 week. The refinancing measure has not been lower since 1,640.4 at the end of last year. According to CNN, Lending costs on thirty year fixed-rate loans jumped.03% to average 6.35%, its’ highest since 6.36% was reached in the Oct. 20 week. Home refinancing counted for 38% of the total home loan applications which dropped from 39.7% the prior week and the lowest percentage in a year. Compare rates and get 3-4 mortgage quotes by completing this easy online application. Start Saving today! Loan experts predict a mini refinancing boom, as the 30-year fixed mortgage rate has hit a 10-month low of 6.15 percent. The Mortgage Bankers Association says mortgage refinancing accounted for about half of all home loan and 2nd mortgage applications last week, and the number could rise if mortgage interest rates decrease further. JP Morgan Chase economist James Glassman, for instance, speculates the 30-year mortgage rate could fall as low as 5.75% in the coming months. While many borrowers are refinancing out of adjustable-rate, payment-option and interest-only loans, Amy Crews Cutts, Freddie Mac deputy chief economist, says some are refinancing their mortgages to extract equity. Get Locked in to a Low rates home equity lines of credit. Check out our Second Mortgages. Take advantage of No Income Verification loans from the nation's leading mortgage lenders.